There’s a new “feature” in iOS 10. It’s buried deep within the refreshed Health App and it deserves a lot more attention than it has received. It allows any adult iPhone user to become an organ donor right from their smart phone. It was something Steve Jobs felt strongly about having had a liver transplant himself. Unfortunately his illness did not allow to see his dream to fruition. 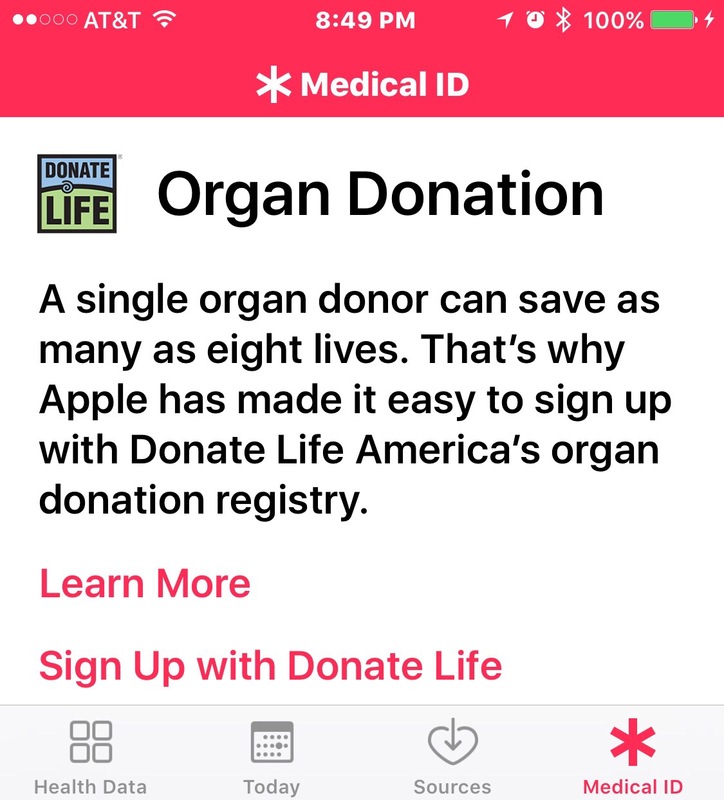 Today his successor, Tim Cook, oversaw the unveiling of this life-saving service. Your health information is provided securely to Donate Life America and never shared with Apple. Please give serious consideration to this option – it is your unique opportunity to make a lasting gift to the whole of humanity. There has been much talk this week about what constitutes “Courage“. I would argue that confronting your own mortality and considering the health of others after your own passing fulfills any imaginable definition. You can get more information at DonateLife.net. Non-iPhone users can also enroll in the program at RegisterMe.org.